Disclaimer: This is not an exhaustive look at glaze creation or composition – that subject is outside of my field of specialty and I can’t claim any expertise. 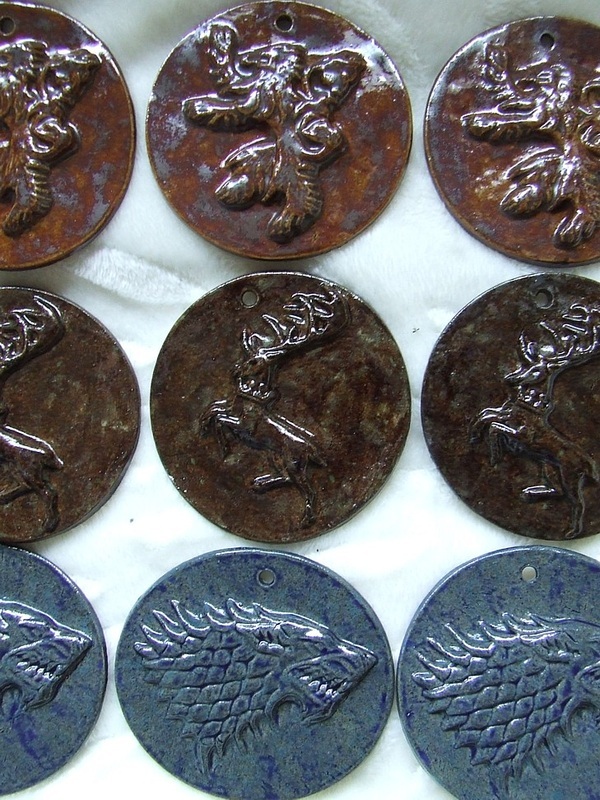 This article is designed to give you a basic understanding of which minerals produce which colours, some insight into the different factors that can affect the end colour and how combining colourants can drastically alter the glaze. Please note this article deals exclusively with colourants, not frits, fluxes, modifiers, stabilisers, alkalisers or opacifiers (or any other common glaze components I’ve forgotten). A glaze is very much like a recipe – think of a meringue that is very fickle with requiring an exact temperature and specific ingredients Ж (or in the case of meringues, making sure certain ingredients aren’t present that would affect the stability of the egg whites [unfortunately the metaphor gets a little stretched here]). One important aspect of the glaze recipe is the colourant. Metal-based minerals are the most common colourants, including everything from iron through to uranium (Don’t EVER use uranium – no exceptions, there are other ways to get yellow!). 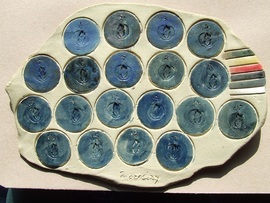 Many people will already have a vague idea that certain colours are associated with particular metals, and many of these bear out in ceramics, at least on a superficial level. We would expect, for example, to get a reddish-brown colour from iron, because that’s what we see in rust. Likewise, there’s noticeable green in copper corrosion, and any painters out there would immediately connect chromium with a pale yellowish-green. Others may be a little more ambiguous, such as manganese, nickel and titanium. 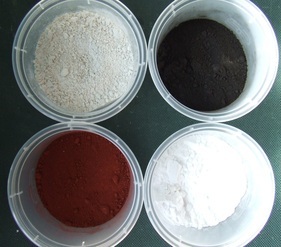 These minerals will usually be followed with a term that refers to their molecular structure, so in terms of ceramics they will always be ‘iron oxide’ rather than simply ‘iron’, ‘maganese dioxide’ instead of ‘manganese’ and ‘vanadium pentoxide’ to distinguish the relevant type of vanadium. This isn’t linked just to oxide structures, but also can include carbonates. Sometimes, such as with cobalt, both the oxide and the carbonate have uses in pottery, but you have to know which one you’re using if you want to get your desired result. Cobalt carbonate is a finely ground powder that gives an even colour, but has an unfortunate predilection towards causing blisters and pinholes. Cobalt oxide, on the other hand, is a much stronger, intense colour, but has larger grains so can result in mottling. Don’t get daunted by the confusingly similar names, it’s just important to keep in mind that a ‘dioxide’ can have a very different result from a ‘trioxide’, and to treat the two as separate minerals even if they have the same origin on the periodic table. Colourants can be used on their own, but usually this results in an undesirably rough matt finish, weak or splotchy colour or uneven coverage. Ж In saying that, it is useful to know which colours are generally associated with which minerals. This is what this article’s about, as well as listing the dangers of each mineral, some relevant notes about their use in ceramics and a brief exploration of how their base colour is changed when they’re mixed with other minerals. The list of potential colourants is large, and some are significantly more difficult to acquire than others, so I’ll be focusing on the more common and established examples. Did I miss one? Let me know through the contact form on the Claywork Tutorials main page.